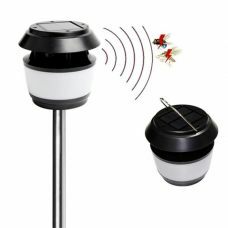 Special Features Pre-installed Rechargeable Battery; LED Light; Spray Flow up to 120cm. 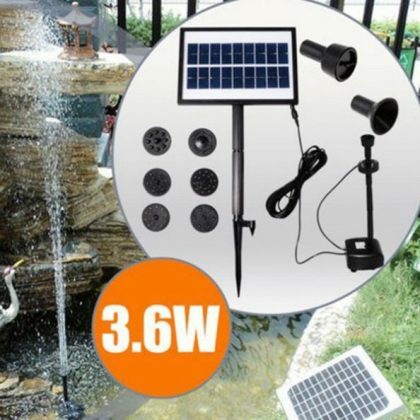 This is brand new high-quality decorative Fountain with a 9V DC Brushless Water Pump powered by Solar and that do not require electric wires or additional sources of energy besides. 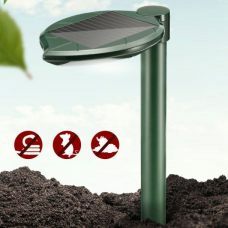 More over this model of Solar Fountain has a built-in 1200mAh Rechargeable battery that makes the product autonomous of sunlight during the night or bad weather conditions. 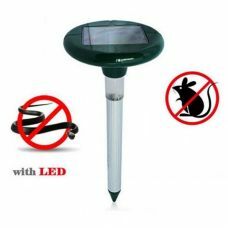 After Solar Panel absorbs and converts direct sunlight into energy and charge the battery, the fountain can keep working even without the sun. 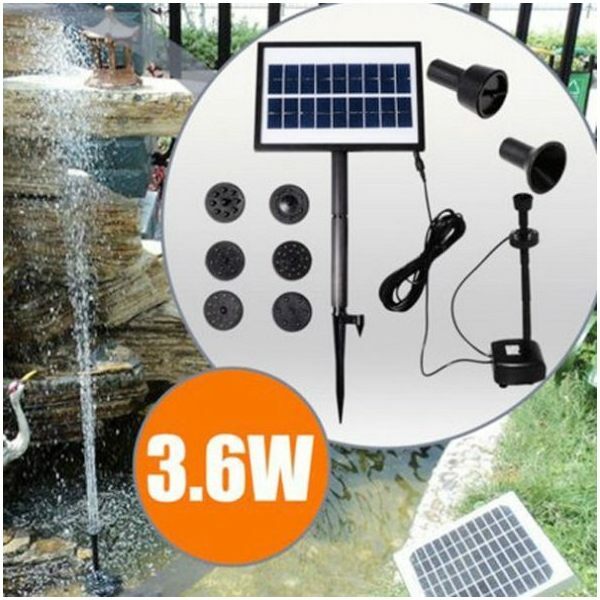 Solar Fountain has 4 LED Light and pre-installed energy-saving DC Brushless Water Pump Motor with a longer lifespan. This Landscape Fountain with attractive appearance will bring true nature spirit to a garden and create a unique environment at a pond. 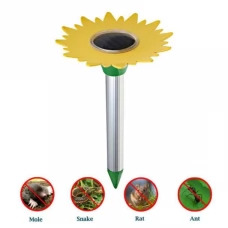 The solar Fountain is suitable for ponds, bird baths, fish tanks, etc. It is so easy to add unique charm, fun and joy to a backyard or garden with Fountain like this even at evening or night time with LED Light Illumination. 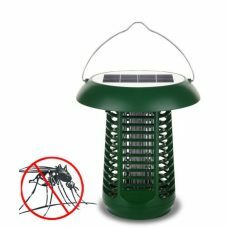 The automatic light sensor will turn the lights on at night time and off at the day. 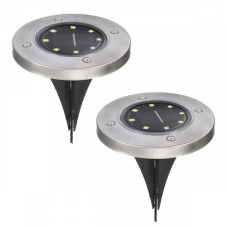 Solar Fountain provides strong, stable flow and fantastic, efficient performance up to 120cm. The product is easy to set up, operate and maintain. 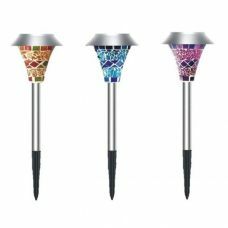 Ideal for: adding charm, decorating, and even illumination to outdoor areas like a garden, backyard, small pond, fish tank, etc. without extra effort and maintenance costs even during the night. The fountain is also suitable for cooling down the area during the hot day. 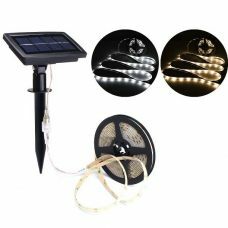 For whom: a practical person who is looking for decoration solution for the garden and also who feels responsibility for the future and appreciates Solar Power Clean Energy and Green Technology. 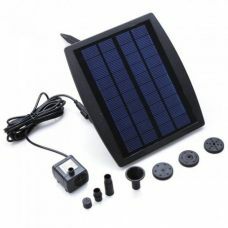 - High Solar Power Conversion Rate. - High Stable Spray Flow up to 120cm. 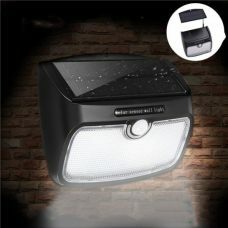 - 4 LED White Lights Illumination with an automatic light sensor for day/ night mode activation. - Built-In 1200mAh Rechargeable battery for a night of bad weather performance. - Built-in energy-saving Brushless Water Pump Motor with a longer lifespan. - Cool Down the air around and increasing the humidity. - User-friendly Design, no wiring or any installation needed. 1 x Brushless Water Pump. 7 x Fixed Poles with Ground Stake. 1. Assemble the product according to the sketch map. 2. 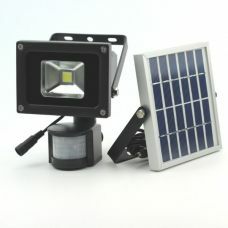 The Water Pump is driven not only by direct sunlight, so it can get power supply out of built-in battery. 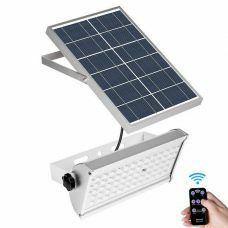 However, to charge it the Solar Panel requires direct sun. 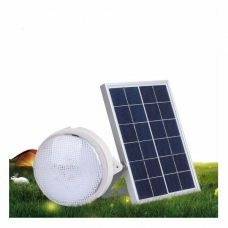 Note that the efficiency of the Solar Panel and Battery depends on the sun intensity and might be affected by weather, seasons, climate, etc. 3. 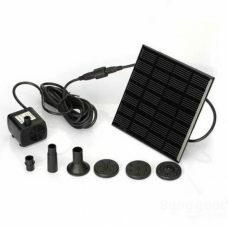 Keep the Solar Panel clean and free of dirt that can shade the sunlight. Clean the surface of the Solar Panel with a soft, slightly moistened cloth or a dry brush only. Do not use any corrosive cleaning liquids or chemicals since this may damage the housing surface or impair future operation. 4. Avoid using the Pump without water for a long time otherwise, it may cause damage and shortens the lifespan. 5. The Pump may require regular cleaning depends on the environment it operates. Dirt may cause stop working. 6. Keep the product away from small children. Just great! Well worth its money! This is the only solar powered fountain I have found with the battery. It works anytime the battery is charged even at night. Looks stunning with led lighting. Just great product. Well worth its money. Arrived well packed and works fine. Definitely rcommend for my friends.